As a Eugene personal injury attorney with over 100 years of combined experience and track record of successful multi-million dollar awards and settlements, our Eugene personal injury attorneys know what it takes to win your case. Our results speak for themselves. For over 50 years we have been protecting the financial future of personal injury victim's in Eugene by fighting for maximum compensation in every case. With more than $30,000,000 recovered in the last three years for our injured clients. Our Eugene personal injury Attorneys have the experience to win your case. 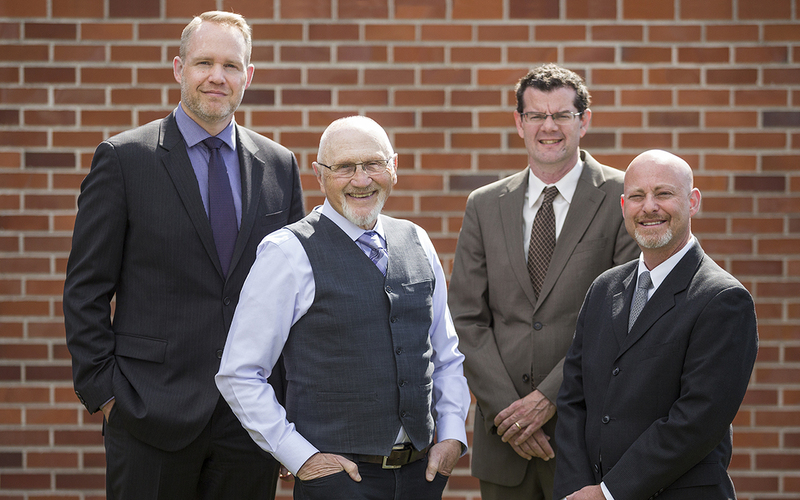 Our Eugene Office serves the cities of Springfield, Junction City, Florence, Cottage grove, and all of Lane County. If you or someone you’re close to has suffered personal injury from an accident, take the earliest available chance to come down and visit Dwyer Williams Cherkoss Attorneys, PC for a consultation. Hiring the right personal injury lawyers can set you on the fast track to fair compensation, allowing you the most favorable time frame and conditions for as complete a recovery as is possible. Dwyer Williams Cherkoss Attorneys has worked with a wide variety of injury cases in and around Eugene. In fact, we’re proud of the fact that we don’t just help a few Oregon victims per year, we help hundreds. There is a reason people trust Dwyer Williams Cherkoss Attorneys with their injury cases. Few firms come to the table with the experience, size, and competency of the team that we offer. Often, personal injury victims want to get back on their feet quickly and put their case behind them. Unfortunately, that can mean that some victims settle too early with the insurance company after an accident, for amounts that are significantly lower than what their case is really worth. A personal injury attorney will be able to evaluate an accident and the injuries associated with it and won’t be intimidated to take the case as far as it warrants. ​Do You Need to Hire an Accident Attorney in Eugene? A car accident is the first thing that comes to most peoples’ minds when they hear the word “accident,” and for good reason. As far as common accidents go, car accidents are some of the most devastating. They result in severe, sometimes permanently debilitating injuries. A victim of a car accident will often run the full range of conditions requiring compensation, including medical expenses, pain and suffering, and loss of income. If you’ve been injured in a car collision you need an car accident lawyer with experience to ensure you receive fair treatment and compensation. Not everybody pays heed to bicyclists when they’re out driving – a concept which applies equally to other bicyclists. Many individuals see them as being no different than pedestrians, but where there are no dedicated bike paths a bicyclist needs to use the street. At this point, they become uniquely vulnerable to other drivers who aren’t paying them the heed that they should be. Often, a bicyclist who is involved in an accident will be accused of breaking traffic laws by the other party. If you’ve suffered serious injury in a bicycle accident here in the Emerald City, you deserve fair legal counsel to ensure that you receive the compensation that you deserve. Our bicycle accident lawyers can ensure that you do. Oregonians love their dogs. Unfortunately, they’re not all friendly. Certain diseases, chronic mistreatment, abuse, and inappropriate training can all result in a dog attacking people without provocation. When that happens, a person faces medical bills for the necessary set of injections needed to stave off infection and disease, as well as for the treatment of such common injuries as lacerations, puncture wounds, and bone fractures. The natural beauty of the Willamette Valley is a powerful draw for two-wheeled adventure-seekers. Motorcycle riders lack the protection of an enclosed vehicle. As a result, in the event of an accident which the drive of a car or a truck might expect to survive, a motorcyclist absorbs all of the forces involved directly. Death and permanent disability are both extremely common among the victims of motorcycle accidents. If you’re a responsible motorcyclist who has been injured in an accident due to another driver’s negligence, you deserve compensation for your pain and suffering, and for any medical bills or loss of income. Neck, back, and brain injuries are common consequences in just about any type of accident. Often asymptomatic at first, they can be extremely debilitating if they are not afforded due consideration, particularly over the long term. That initial lack of severity opens the door to a responsible party’s litigator offloading the blame for the condition from the shoulders of their client. You need a brain injury lawyer in your corner to stand up for your rights and to ensure that you receive fair treatment. The State of Oregon has a fairly sizable elderly population and many reside in nursing homes. If you suspect that a loved one is being abused by their duly compensated caregivers, you deserve all necessary compensation to see to their relocation and continued well-being, as well as to attend to any medical expenses involved in the recovery from their ordeal. Pain and suffering come into play here; the abuse of one’s helpless and dependent relations is a source of enormous anguish, and one that requires acknowledgment from the responsible party. Eugene, Oregon’s location along the I-5 corridor means that there is a constant stream of truck traffic in and around our city. A moment’s poor judgment is all it takes to wind up in a devastating accident as the result of a collision with a large and cumbersome vehicle, such as a semi truck. Difficult to operate, semi trucks are stricture regulated and specially licensed, but companies are known for cutting corners when it comes to their drivers. Oftentimes a driver may be inadequately trained, or he or she may be operating on too little sleep, or be chronically undernourished as a result of their lifestyle. Recovery from an accident with a semi can be a painful process that takes years, if not longer, and the burden for this needs to fall upon those who are responsible for the circumstances that led up to it. Call us to speak to one of our truck accident lawyers today. While we are blessed with sunny and beautiful summers, Lane County receives more than it’s fair share of rainfall in the winter. This can create hazardous conditions on streets and sidewalks. A trip or a fall can result in a sprained or broken ankle, a bone fracture, and a concussion. In a worst-case scenario, a severe head injury can occur. If such an accident is the result of improper signage or other hazardous and avoidable conditions, there is a responsible party who owes you compensation for medical expenses and pain and suffering. Our personal injury lawyers can ensure you are fairly compensated for your loss. Don’t let a corporate interest take advantage of you and deny you the right to compensation for lost wages while you’re out of work due to an accident in the workplace. Where a hazardous situation might have been avoidable due to more responsible behavior on the part of your employer, they owe you for medical expenses, while you recover from your incident. Contact our workers compensation lawyers today. Nobody wants to think about money when they’ve lost a loved one, but you owe it to yourself and to any other survivors to ensure that life goes on during and after the grieving process. When a loved one dies unexpectedly due to an avoidable accident, you deserve to be compensated for their loss, so as to allow you time to grieve and move on with your life without continuing to weigh yourself down with the immediate necessity of ensuring that basic needs are met day-to-day. Accidental injury and death due to negligence, as well as other avoidable circumstances, affects millions of people every year across the United States. In cases where another party is responsible for what has occurred, that party owes you and your loved ones compensation for the situation into which their actions have placed you. You deserve to be able to meet your expenses and continue to survive while you pursue recovery from the incident that caused you injury, loss of income, or other such serious issues. For help contact one of our accidental death lawyers today.